Millennials and post-millennials beware: the generation growing in your shadow — and readying to take your jobs — could soon comprise polyglot technophiles equally at ease with humans as with robots. Certainly, that’s the brave new world that UAE nurseries are equipping today’s toddlers for, with multilingual curricula, lessons in coding and an emphasis on letting each child set his or her own path. At the Emirates Towers kindergarten Ora, which describes itself as a nursery of the future, cloud-inspired flexible learning spaces with curved, touch-activated walls create a protective nest for its fledglings. “Our framework and philosophy guide children in the discovery of their unique inner spirit in a state-of-the-art learning environment that provides them the skills to become leaders of the future,” says Dina Elgammal, Centre Manager, Ora. Our framework and philosophy guide children in the discovery of their unique inner spirit in a state-of-the-art learning environment that provides them the skills to become leaders of the future. Several preschools in the country now emphasise coding and artificial intelligence at the same time as building emotional aptitude through different forms of interaction. Others include the GEMS’ Kindergarten Starters and Abu Dhabi’s Bright Kids Nursery, run by the KBBO Group, while Brighton College Abu Dhabi teaches logic structures, a precursor to writing computer code. This new emphasis on technology is just one way the early years space is changing, says Charlotte Borghesi, owner and director of Children’s Oasis Nursery (CON) in Jumeirah. In September, the Ministry of Education organised the first annual Early Childhood Development (ECD) Conference to help strengthen education for children up to the age of eight. In addition, a series of regulatory changes over the past year now requires nurseries to adhere to tighter regulations in terms of teacher qualifications and training, safety and security, as well as in terms of admissions ages. “It’s a well overdue change and much welcomed by the quality nursery operators,” Borghesi says. The approach to formative education goes far beyond the quasi-babysitting services or daycare many institutes once employed. 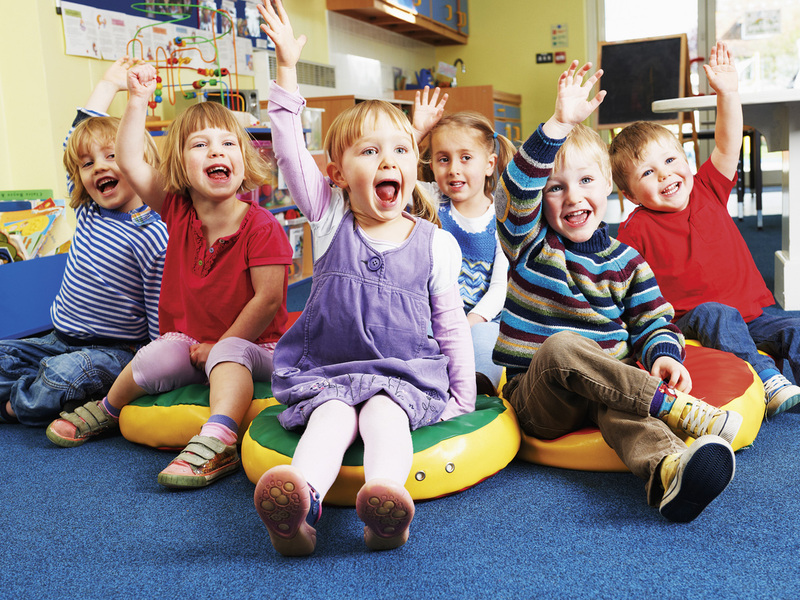 “Quality nurseries provide a holistic start of every child’s learning journey and [don’t] just provide a place sustained by numbers of children in a child daycare,” says Bernadette King-Turner, Managing Director, Yellow Brick Road (YBR) Nursery in Dubai. Across the board, learning through play, multilingual education and putting children in charge of their own instruction while continuing to involve parents are all common approaches that have been incorporated into several different curricula. Quality nurseries provide a holistic start of every child’s learning journey and [don’t] just provide a place sustained by numbers of children in a child daycare. Besides the traditional country-led structures, parents can choose from Montessori, Reggio Emilia and Blended Early Years programmes. YBR embraces the Reggio Emilia Approach by acknowledging children as “knowledge bearers”, King-Turner says. Child-led learning requires nurseries to respond to the individual needs and interests of their students through responsive planning and topics chosen by the pupils themselves. Child-led learning requires nurseries to respond to the individual needs and interests of their students through responsive planning and topics chosen by the pupils themselves, explains Sharon Storrie, Principal of Dubai British Foundation (DBF), which fully implemented the technique this academic year to coincide with increased tracking of pupil well-being and involvement and its impact on learning. She says the nursery has already seen results. "Spending more time nurturing a child allows the teacher to really see the child and meet their needs," says Shehla Bridle, Managing Director, Jebel Ali Village Nursery Group. We keep a child's individuality and uniqueness in mind and plan according to individual needs and background. - Shehla Bridle, Managing Director, Jebel Ali Village Nursery Group. "We keep a child's individuality and uniqueness in mind and plan according to individual needs and background. Getting to know the child and family better to provide proper support." Across curricula, play is now the main way children can express themselves. While Ora provides simulative cocoon-like spaces, YBR looks to the natural world differently. “We provide outdoor playscapes as well as specifically designed areas to stimulate each child’s natural curiosity about the world around them,” King-Turner says. Responses to these cues are now usually in different languages. The UAE’s multicultural society — and our broader globalised world — has seen nurseries moving towards multilingual education. Nearly every school we spoke to exposes children to at least three different teaching languages. In the future, being multilingual will mean being able to access wider audiences, extended markets and an increased social network. At the Children’s Garden Green Community School, everyone learns in two languages, says Principal Karen Green. These are either English and French or English and German, and children must also follow Arabic lessons. “In the future, being multilingual will mean being able to access wider audiences, extended markets and an increased social network,” she says. That’s certainly a far cry from not so long ago, when toddlers sat behind desks and memorised the alphabet by rote repetition. Blended Early Years programmes give children the best head start in life, believes Karan Brown, KBBO Group’s Associate Director of Education. KBBO manages Bright Kids Nursery, whose syllabus incorporates elements of different approaches. “Our unique bespoke curriculum includes the EYFS, Montessori, Smart Brain learning strategies and future learning skills.” In addition, its Culture Club offers language programmes, ballet, yoga, gymnastics and the Bright Kids Music and Movement Programme. She agrees that the UAE’s early learning sector has been transformed. “Parents want their children to receive an education that will be widely recognised and transferable. There is a growing demand for international curricula. Another top trend is the increasing emphasis on using enabling technologies to enhance learning and development in early years education.